Popping a few handfuls of blueberries in your mouth every day is a brilliant idea. Blueberries are brain food, they’re E=mc2 personified. Consumption of these prodigious prognosticators may even cause you to factor algorithms or start calculating the sum of the sides of an isosceles triangle. Okay maybe that’s a bit of a stretch. Although they won’t make an Einstein out of you, they surely will you help retain what’s already in your brain. As it turns out, blueberries are phytonutrient “smart pills.” They do an excellent job of maintaining your nervous system by protecting you from the effects of aging, called oxidation. Oxidative free radicals are attacking our cells every day, breaking down what we have worked so hard to build. Blueberries contain lots of powerful antioxidants including anthocyanins, which give them their dark color and even polyphenols including resveratrol, like in red wine, that play a healthy role in disease prevention. We can think of benefits of blueberries as creating a protective firewall around our brains helping us retain our precious personal data. As we age, this kind of help should be at the forefront of our minds when we make choices of what to eat. A bowl at breakfast is a super start, and ending the day with a blueberry-inspired dessert is not a bad finish. Hey, check out Chef Jeremy’s brilliant inspiration about igniting your summer grilling with his Blueberry Salsa recipe. And mark your calendar for May 21-27 to enjoy our new spring dessert Meyer Lemon Meringue Pie with Italian meringue and creme de cassis-macerated blueberries. Why not plan an adventure and pick your own this season? Find a farm in your area and carpe diem! Last summer I went blueberry picking at a farm near Tacoma. It was a beautiful day and as we started picking, the sound of classical music came wafting through the air. Are you kidding me? I felt enlightened just standing there. Handful after handful piled my bucket high, and all winter long I had the pleasure of enjoying them. 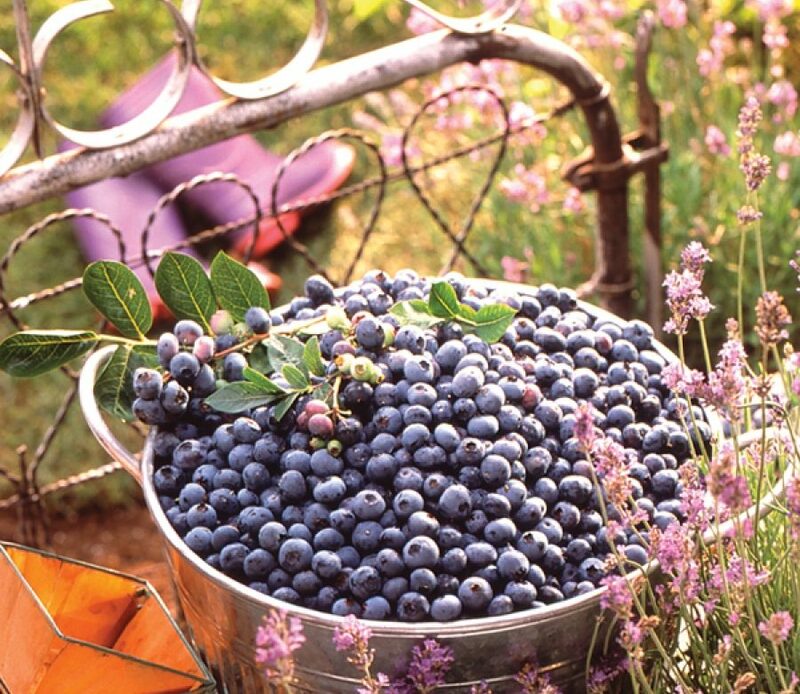 Blueberries are in season from May all the way to October so we can all get smart and enjoy them!